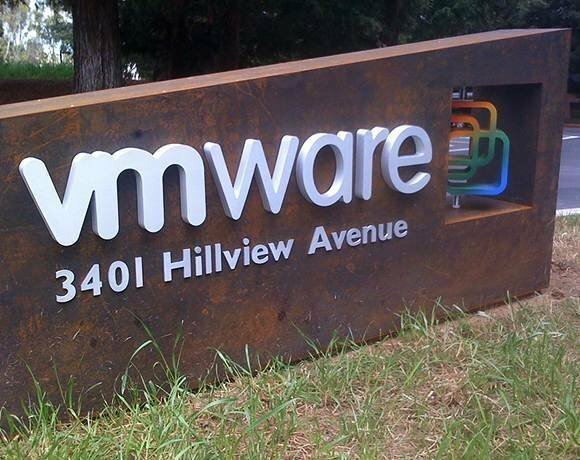 Datacentres of the future will not be populated with branded servers and networking products that perform individual functions because software-defined everything will make hardware irrelevant, predicted VMware’s EMEA chief technology officer, Joe Baguley. A software-defined datacentre is an IT facility where the elements of the infrastructure – networking, storage, CPU and security – are virtualised and delivered as a service. The provisioning and operation of the entire infrastructure is automated by software. The term software-defined datacentre (SDDC) rose to prominence in 2012 during annual virtualisation conference VMworld, with VMware touting it as the next best thing in IT. Speaking at the Datacentres Europe 2014 conference, Baguley predicted that software-defined everything is changing the design, function and price points of datacentres. “Datacentres of tomorrow will not be populated with name-brand products,” he said. “Instead, it will be populated by ‘white boxes’ built by unknown companies. This is because hardware doesn’t matter any more. You can build resilience and efficiency into the software layer. Hardware becomes irrelevant." Which company makes the datacentre hardware will no longer matter, he said. There are unknown companies that have made hardware products used by enterprises for years, but customers get these products shipped to them with a sticker of a big brand on it, said Baguley. “But as more and more datacentre functions are abstracted, automated and assigned to software, these unknown companies will cut out the middle men,” he added. Baguley predicted a life expectancy of three to five years for traditional, branded datacentre hardware. “Look at the poster-children of IT – the Facebooks, the Netflixes and the Amazons,” he said. "These companies don’t virtualise a networking switch or a router." Instead, they make the switch part of the hypervisor and automate its functions delivered by software, he added. It is all about data, applications and analysis. But traditional IT cannot cope with these. "I was at a conference last year and a guy from Germany proudly stood up and talked about his nine-year SAP deployment project. It just shocked me," said Baguley. Companies such as Netflix and Facebook go through this app-data-analysis cycle “multiple times in a single day”. “In the future, you will have datacentre professionals tell their companies,'Just give me a flat, wide network connection, I’ll do the rest’,” he said. But abstraction and automation of networking tasks in a datacentre don’t make networking staff redundant, he said. “Traditional IT is scared of this new way of working because it is not how they have been working for all these years,” he told Computer Weekly, "but software-defined everything doesn’t make networking guys redundant; in fact, it gives them new challenges and new opportunities to deliver what IT needs.